Join us for a chance to learn more about the lives of the small mammals that live in our region. Dr Andrew Claridge, will be sharing some of the exploits and insights of his research with us on June 8th at the Local Land Service offices in Bega at 2.00pm (time to be confirmed). 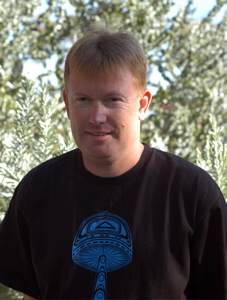 Dr Andrew Claridge is a Senior Research Scientist with the NSW National Parks and Wildlife Service based in Queanbeyan. As a wildlife biologist he has worked on many different animals over the past 30 years, both in south-eastern mainland Australia and also the Pacific Northwest United States. He has a particular affection for mammals such as potoroos and bandicoots, and the carnivorous spotted-tailed quoll. His interests also extend to the interactions among forest organisms and how those interrelationships afford resilience. In the past 10 years or so Andrew has been very active in the use of infrared cameras to detect and monitor cryptic wildlife. In his upcoming presentation he will discuss the benefits this technology has brought, together with some of the challenges. Using the example of looking for quolls with cameras, Andrew will also put forward the prospect of Citizen Scientists helping with some of this work. Please let us know if you can join us.